Reiki healer is the person who applies different techniques in own body, but also in the body of treated person. Reiki healer has survived the clinical death or he has already trained it, or both – he survived of the clinical death and then he trained this state, so he reached the gentle release of his memories from neurons. This can be perceived in persons older then 80 years who in perspective survived the clinical death and their brain changed the behaviour. Reiki healer can operate in special state of the brain due to overcoming clinical death and this allows special influence in own cells in the body but also in other persons on different places. Reiki clinic healer knows many hypnotic techniques. He also knows the technique how to get into trance. What is trance? This is a condition where you persistently rub stone by stone or you drum or dance and bring your body and mind in an extremely unusual state. Reiki healer mind in a trance operates through the Earth’s magnetic field to the treated person. Reiki healer is the person who trains own neurons for decades to provide treatment and consecration on the distance. Reiki does not work well at a distance from the beginning. But if the healer pernamently trains and improves his brain and neurons, then he builds real ability to help and heal alternatively hold illness in stable status. Reiki healer can send a sick person to a medical test to verify whether the condition actually improved after his intervention and so he verifies the accuracy of his procedures and so he has the opportunity to seek more effective forms of treatment remotely. 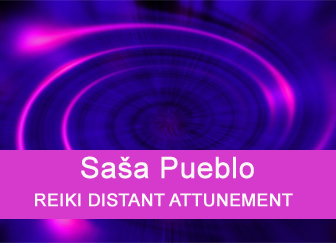 Sasa Pueblo knows the basic technique for reiki realization on distance and he has trained early stages of the clinical death what is moderate release of memories from neurons. Training of the clinical death is from yoga – exhale all the air from lungs and don´t breathe and count firstly to ten and the next day to fifteen and the third day count further. This training should take until you are able not to breathe and count to 100th. It is thus necessary to practice in order to get the unique connection to the person on the distance. And this must be done. And then it is reiki based on the imagination of rotated embryos in the healer memory and he then charges those imaginations with the energy, this imaginations are created from energies. Energy is taken from pregnant animal females on distance and young ones and then we heal yourself or other persons directly or on the distance. The necessary is also to train telekinetic abilities towards to strong influence on neurons in own brain but also in the brain of other person and so especially through the meditation on different kinds of meteorites. You gradually force neurons to support embryonic cells that remain in the body of treated person. And everything is directed by people who are naturally long-lived. Long-living person is around one from 100 people. You force neurons to support the deceleration of aging by many reiki interventions. For example here is less used technique TUMO, where the healer gets yourself into an anaphylactic shock, adrenaline and corticosteroids knocks down, gets his chemistry to risk, but special and strange state and then heals. But he should not use that technique often and so this technique destroys his health. Here placebo technique plays the role and extraordinary ability to influence the client remotely and move in him healing power. This is about an agreed psychic manipulation that leads ultimately to healing or improving condition. And even this technique should be successfully developed. Placebo effect takes full advantage also in the medicine. So why not to use it even in reiki treatment? Reiki healer should allso know oracular diagnostics and and he should be broadly educated in classical medicine and the best in all fields. Reiki healer considers the condition of the person being treated and does not allow endanger his health. He insists treated person into classical medical examination by a physician. 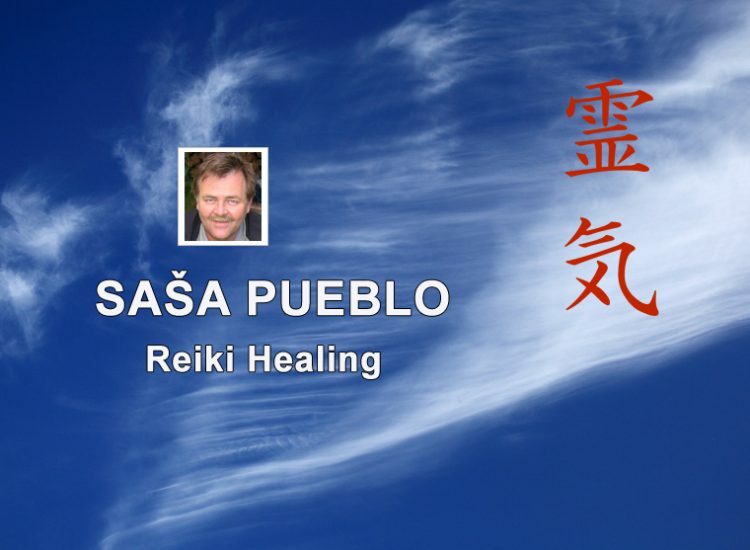 Reiki healer supports classical medical treatment by his healing action and does not endanger the patient’s health and always gives him the knowledge of the risk and opportunities of classical and alternative medicine. 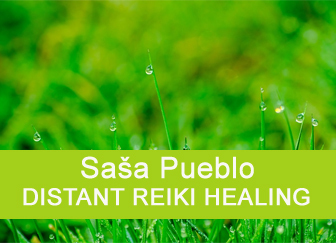 If reiki treatment is not effective after several attempts then it is combined with dietary supplements, or drugs that are prescribed to sick person after consulting with the doctor. 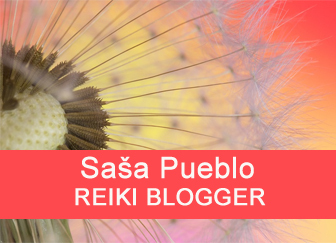 I will write here about how to practise reiki for yourself and for persons who surround you or for persons who are thousands kilometers far away. These experiences are also inspired by other reiki healers. Coefficients for the treatment are based on the research of long-living people. The maximum coefficient of the treatment is 400 units. Nervous and neuronal system was developed during childhood and this one is not tuned to longevity. And this nervous system is powerful until 50th year of the life. Then its performance decreases. But it is not as important as the fact that these structures are blocking functioning of the quantity of neurons and nerves in the brain and in the body. In better case they limit their performance. And within reiki we force them to stop such activities and start to promote active age over 100 years. Reiki healer affects them by physical particles and similar which he gathers inside of yourself. Try to read something how laser acts on the change of the atomic arrangement in the manufacture of glass and then the dust does not stay on it. This is simple imagination. You can achieve better understanding by study of quantized biology. In the navel from inner side we find a special remains of embryonic structures and special nerves that remains in the child from the mother. This nerves are not destroyed after the birth, but stored in a latent state. In the navel we find other dormant neurons related to the period when the man was trilobite or a similar kind in the past. In the navel is the foundation of a prehistoric nervous grid system. All those structures hibernate and could be activated and also they could grow into the body and support the health. It is possible that some of those structures are active and orientated on the body destruction. Reiki healer intervenes into this system within yourself and in treated person and here cells and especially neurons have to support longevity and performance of the person. Reiki healer actively affects white matter in the brain, fat cells and neurons and by particle manipulates neuronal structures to mobilization towards the formation of substances for adopting amendments – antidepressants. The older is man, the less antidepressants he forms. Healer evaluates by oracular techniques his actions leading to positive changes of fat cells and start their support to produce missing ingredients for the body. Neurons in the fat have the potential inside and they need stimulus to start these activities. From a medical environment, it is known that women in the transition start producing the female hormone just in fat cells. A healer studies what antidepressants are in the human body and then he pushes the imaginations of them into the sick person. Reiki healer influences the white brain matter to produce anti-stress substances. First he studies them and then pushes white matter and fat body to production these substances. Reiki healer in this case acts into neuronal areas in the brain, in the spinal cord and abdominal brain. He imagines the scientific world and the scientific way of perception and pushes these imaginations into neurons of treated people. He does the same with religious ideas, shamanic rituals, prehistoric drawings. Thus support neurons of the sick person to maintain the human dimension of his being. He pushes mentally on neurons which want to behave like an animal and force them as trainer in the circus to obedience. Reiki healer connects the reiki channel with kinesiology and its work. Thus he enters into the memory of the person being treated and weakens the memory of certain types of micro-movements which was done in crisis situations. The same is done with macro motion for life disasters. He simply forces certain memory neurons to forget these events and movement carried out during these crisis situations. Reiki healer finds through oracular and intuitive abilities more then one thymus in the body of the person being treated. There are about 20 to 30 over the body. The most important are in the sternum. In older age after 40 they are blocked and almost 30 reiki treatments on the distance are necessary to unblock them and activate them again. After that treatment they are able to conrol body reparation. It is surprising that the body doesn´t dispose them but they only hybernate and reiki healer activates them. Reiki healer finds throught oracular techniques embryonic structures over the body and again force them by bioenergy to awaken from hybernate state and start to work for the body. Those neurons are forced to start working and change body chemistry to younger and more effective chemistry. Reiki healer does exactly what long-living persons have open in the body and their embryonic structures are well active also in the old age. Reiki healer has education in evolutionary medicine and understands that the human body contains maybe 400 areas with different types of stem cells. Evolutionary medicine defines that the human body is kind of museum also with dwarfed organs. So for example above eyes in the skin are dwarfed eye nerves. They could be stem cells or active nerves and can be something like third eye. Inside of liver are few several prehistoric livers in the form of stem cells or pieces of prehistoric liver and reiki healer has the ability to attack these structures, causing them to grow and replace damaged liver. Of course, such an activation can not be successful in everyone. 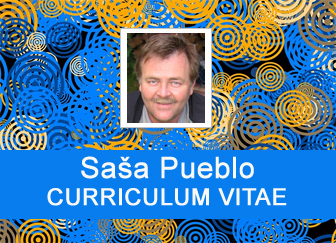 This is influenced by more phenomena but I don´t want to go into genetics and chemistry. Thus again no magic, but a real possibility to revive stunted structures in the human body. Reiki healer takes unique phenomen in the human body and it is the ability of fat cells to modify themselves and creates additional chemical sources. Reiki healer through reiki channel attacks fat cells and neurons by physical particles. This attack is succesful when fat cells start to produce missing substances into the body. Of course, such interventions are not guaranteed and succesful partialy or not at all. But reiki treatment is great help here. In some cases, poorly modified fat cells produce substances that are harmful to humans. Again, this can reiki healer influences by repeated interventions. Reiki healer has the ability to influence organelle inside cells, especially the mitochondria. Here is the best to awaken mitochondria inside the bone sponge and then in the other cells. Nano substances taken by patient can be recommended by reiki healer and then distance treatment could support the recovery those sleeping organelle. They hybernate mainly due to old age and destruction activities of chromosomes – the natural way of death. Reiki treatment can awaken the creation of nano substances inside of bone mitochondria and mitochondria in cells and so can produce bioparamagnetism and biosuperconductivity at the room temperature and so affects proteins, aminoacids, elements inside of cells. We use knowledge of quantum chemistry and intuitive way of treatment on the distance by the energetic reiki channel and intuitive oracular techniques. Not everything could be explained by the rational mind. Kind of mystery will always be here. Reiki healer penetrates to the midbrain which is the size of a small egg and there is a hormonal gland pineal and pituitary glands, neurons and dreams archive. Reiki healer must be able to penetrate into a dream archive and dissolve here the most beautiful and most blessed dreams. Blissful and beautiful dreams mean sick and inappropriate body chemistry and those dreams has to gone. There remain only ugly and unpleasant dreams. Those are the practical experience of reiki. Everything what human does is written into magmatic fields of the earth. Reiki healer is able by oracular techniques find magnetic records about the treatment which he does. He is able to move those pulses into the treated person in purpose to affect on neurons of treated person to act as long-living person. It is necessary to manage shamanic techniques for work with magmetic field of the earth. Reiki healer seeks to open the fat in the body and hormonal gland pineal gland inside the brain and force them to the production of hormone for healing sleep. Not enough melatonin and serotonim block regeneration. Amounts of melatonin and serotonin are decreased by excessive emotions and stress mainly in older age after 50 years of life. Body starts to produce more melatonin when you push fat cells and surrounding neurons to start or increase their production. Long-living persons from Caucasus have during the day such amounts of melatonin as sleeping people and during the night they have even higher levels of melatonin kind of poisoning by melatonin. And this ensures them long life. Reiki links to original Philippine reiki masters. Find those who have tuberculosis misshapen bones and they can extremely awaken bone sponge in bones. They contains cells that are not active and inside of those cells are mitochondria able to produce substances which are nano and therefore they can reach deep levels inside of the cell. And this is natural nano therapy. Reiki healer mentally connects to particular Philippine healer who practises also magic and throughout him invokes in neurons of treated person the sense for the miracle. This is strong healing force which is equal to placebo effect used in the medicine. This also force neurons to change their behaviour for health and longevity. Reiki healer uses his consecrations into reiki levels or throughout other reiki persons consecrates treated person into certain reiki levels. Treated person can receive on weekly base distance reiki consecration from reiki person over the world. This is interesting treatment and permanent activation of treated person. Reiki masters in different countries are happy to help. This is a phenomen of distance reiki consecration without treated person. 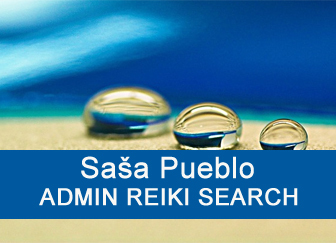 Be careful and don´t transfer via reiki consecration religious features on treated person. Reiki healer knows many haeling places over the whole planet and even in our solar system or in the space. He is able mentally connect treated person to this place and change physical particles and so support necessary changes in neurons activities. Neurons influence the chemistry in the human body. Of course, this is the real connection to the place not only the imagination. And so the reiki healer has to know the technique of misshapen bones so he knows how to mentally contact the person who have misshapen bones or he is able to sugerate this. NAME: JANA, SURNAME: TREATED AGE: 28, ADDRESS: BRATISLAVA, REIKI MIKAO USUI TREATMENT NR: 29, DATE: 09.04.2015 at 02:02 p.m.